For my friends with kiddos, I wanted to bring your attention to the Winter issue of Weight Matters Magazine. I had the privilege of writing this issue's Kids Korner article. I loved writing this article. Early childhood education is my first love so it was nice to be able to tap into that creative side. 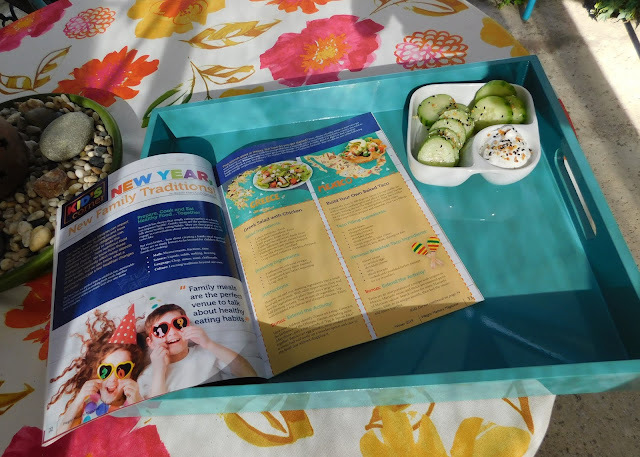 I hope you and your family enjoy the ideas and recipes presented. 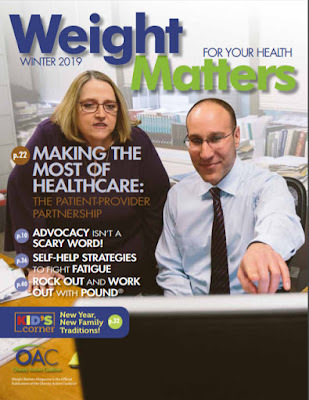 It is an especially awesome issue with articles on making the most out of your relationships with your health care providers, managing your sweet tooth, dressing for comfort and confidence, taking the fear factor out of advocacy and more. If you are interested in receiving a hardcopy of the magazine in your mailbox choose premium membership in the Obesity Action Coalition (OAC). Check out a sampling of some of the articles accessible FREE to the entire OAC Community.